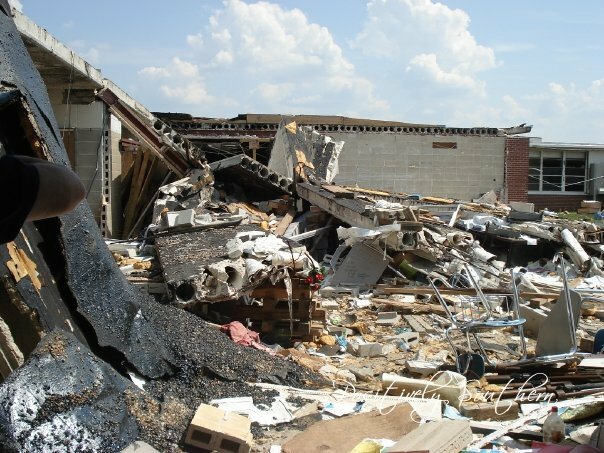 Today marks 10 years since an EF4 tornado hit my hometown Enterprise, Alabama. That day not only changed the landscape of Enterprise but more importantly the lives of countless people. The loss of life in Enterprise that day was nine, eight of those were students at Enterprise High School. It is a tremendously sad day for those of us with a connection to the city, the school and those that perished. Each year when I make the decision to share this event on the blog(you can read my account of that day in last year's post here) and begin the process of writing this post I take time to sit and remember the good along with the sadness. 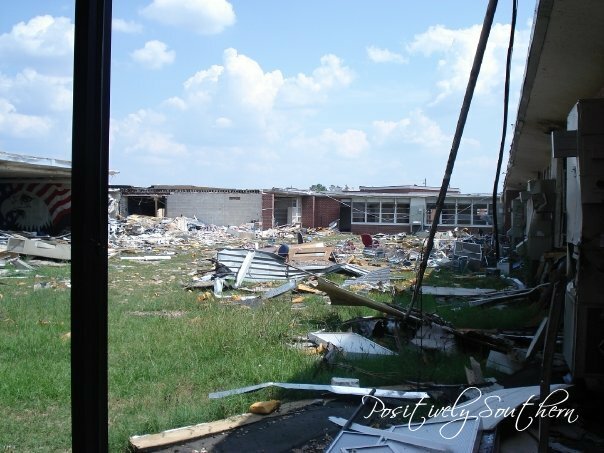 I flip through photos on the internet and I see the school as it was that day with destruction abounding. I close my eyes and recall the fun times that I had at EHS some 33+ years ago. 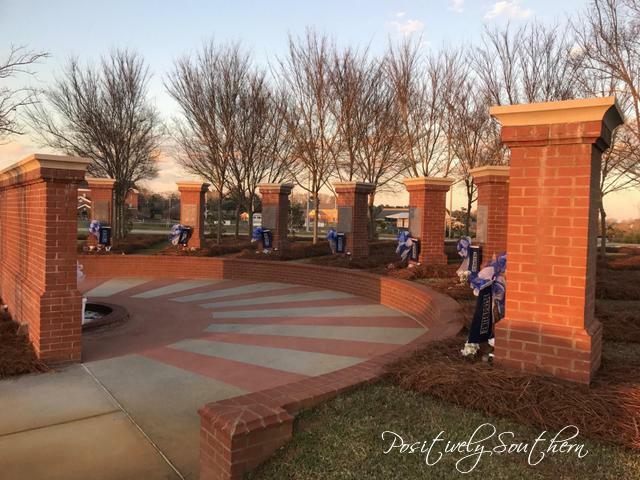 With eyes closed, I see my friends walking down the halls, in the lunchroom, the pep rallies in the gym, the tennis courts, the picnic tables in front of the school where so many would have their lunch, the parking lots and our football stadium. These images get dimmer with each passing year, maybe it is because they are all gone with the exception of the stadium. Sadly, they no longer stand as physical reminders. The site of the former EHS. 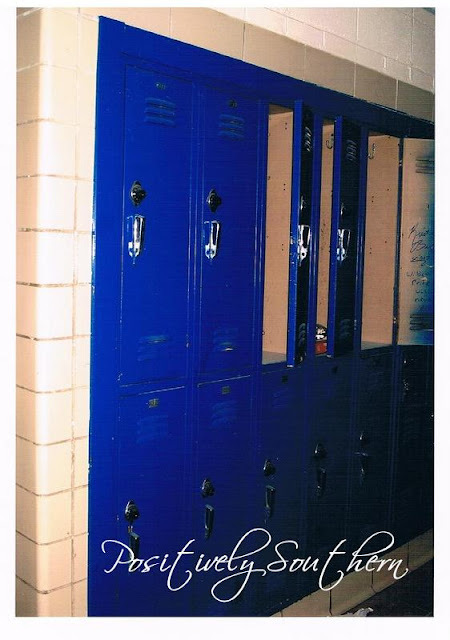 In June of 2007 I was allowed to go into my high school one last time. 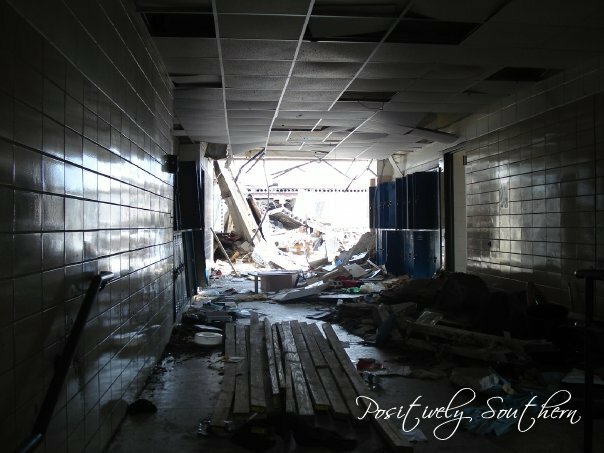 While I walked the halls of EHS one last time I took these photographs. 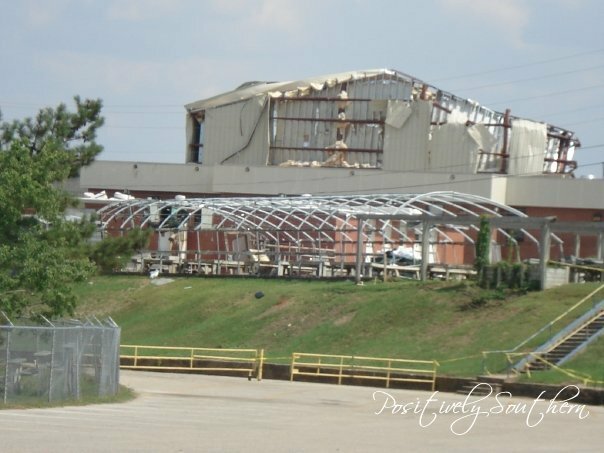 When I drove into Enterprise months after the tornado had hit, the one memory I will always take with me were the trees. So many of them were broken or damaged and then there were the ones that stood without a single leaf. The photo below was taken looking into Bates Memorial Stadium. The trees you see in the forefront appear untouched, yet as you look past them you see numerous ones that had taken a hit from the storm. 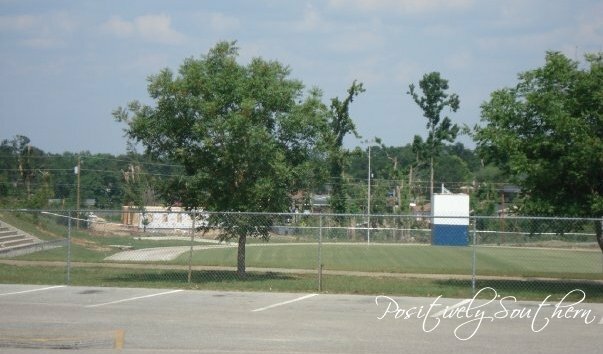 So many fun times took place in that stadium, my mother was in the first graduating class, my senior year we won many games in that stadium and it landed us in the state championship game, my first kiss took place there and I walked across that field in my cap and gown. The greenhouse below is a place I spent many hours. 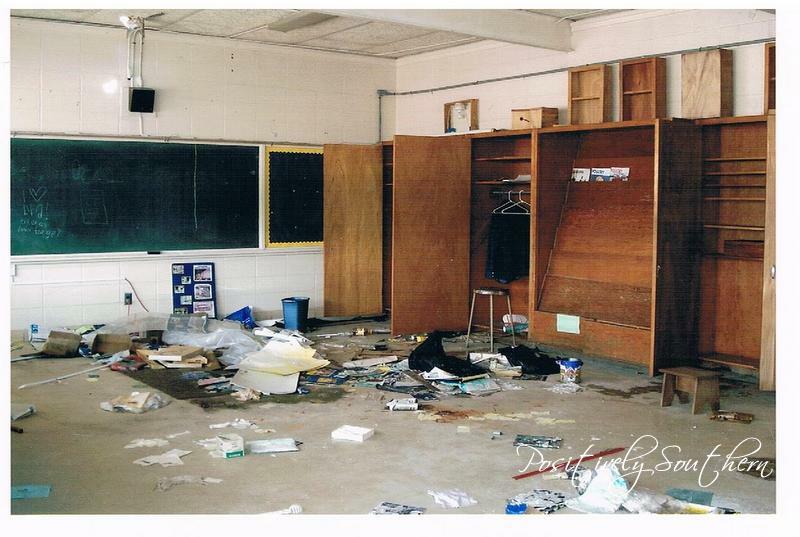 This was the classroom for Agriculture. I took AG all through high school, I loved it! Considering it was right beside the greenhouse it didn't appear to be as damaged. My locker was one on the end my sophomore year. This view is from what we referred to as Second hall looking out to Third hall. The day the tornado hit the students had been in the hall for safety reasons. That is what you do...you put the kids in the hall thinking it is the safest possible place, it just wasn't that day. This is an interior view of Third Hall. 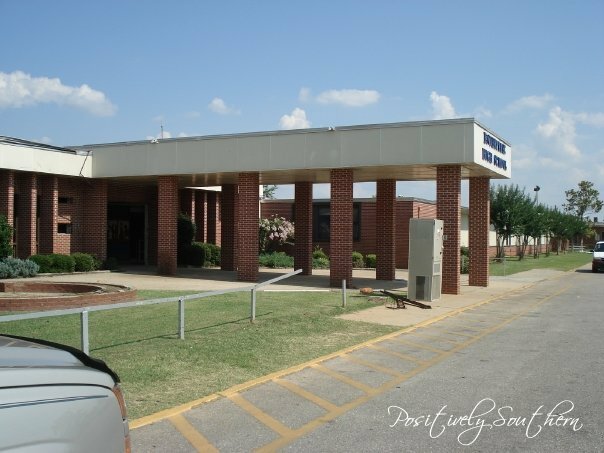 What I knew as Enterprise High School was torn down. The new high school was built on a new location, the new school is spectacular...all the bells and whistles. The only problem with the new school for me is it isn't MY high school, that school is gone. On the site of the former EHS stands a memorial to those that lost their lives. 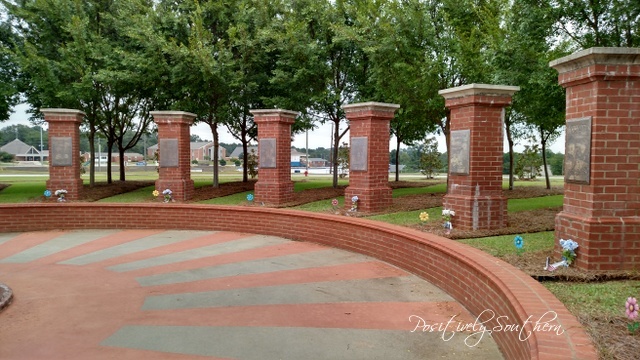 Each brick column represents the students that lost their lives on that fateful day. 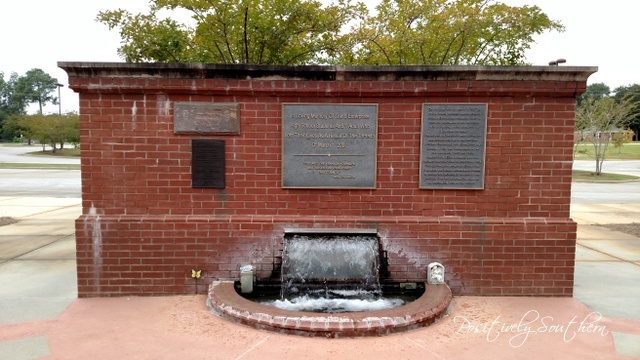 Many thanks to my cousin, Melissa for snapping the photos of the Memorial.